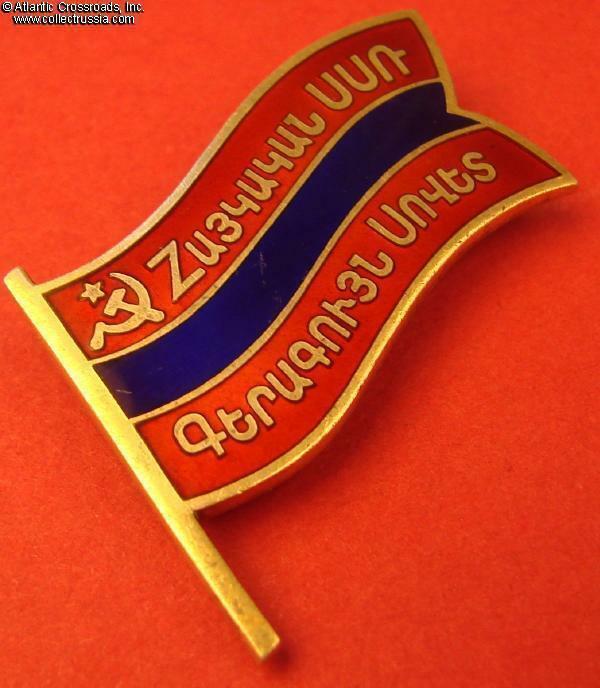 Supreme Soviet of Armenia membership badge, screw back, #46, 4th Convocation, 1955. 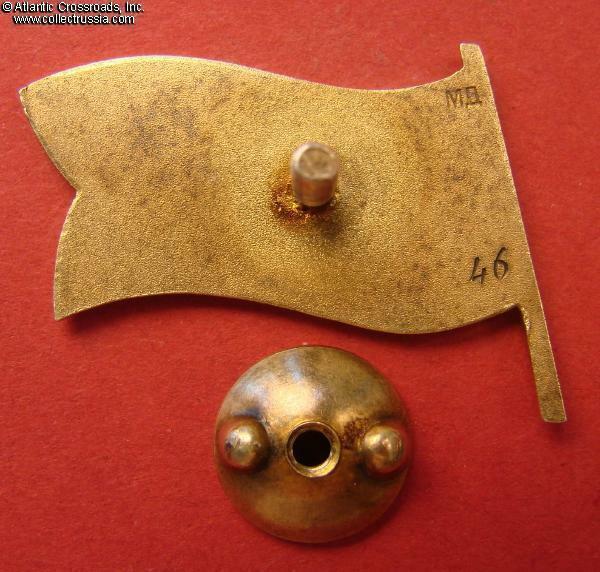 Silver gilt, enamels; measures 32.9 mm in width, the flagpole is 27.3 mm tall. 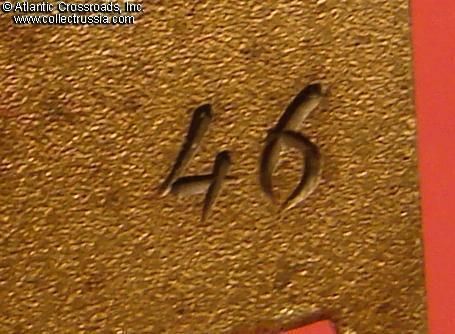 The reverse has engraved serial number 46. 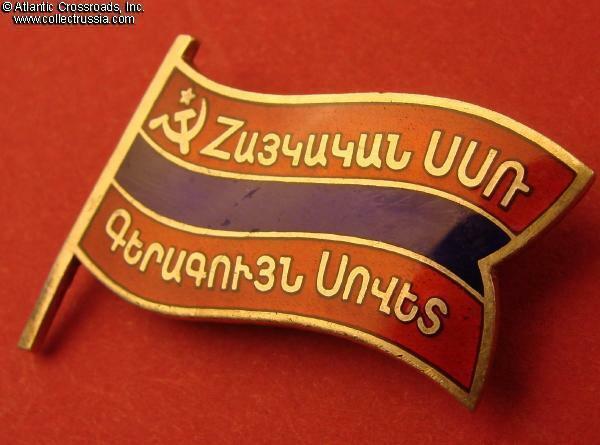 This is the early version of the Armenian Supreme Soviet badge, with some of the letters in the inscription different than the more common later versions (the most noticeable one is the first character which looks like a Latin "Z".) 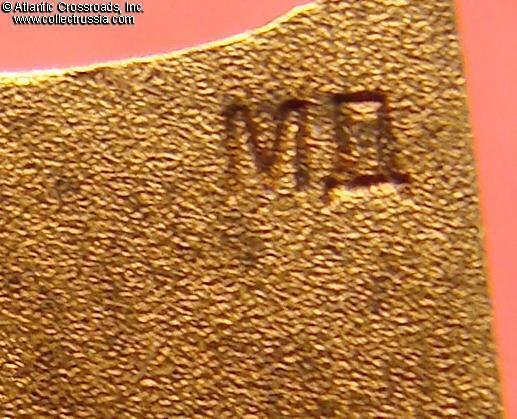 Also features early, stamped mint mark "MD" with the narrow version of the "D". 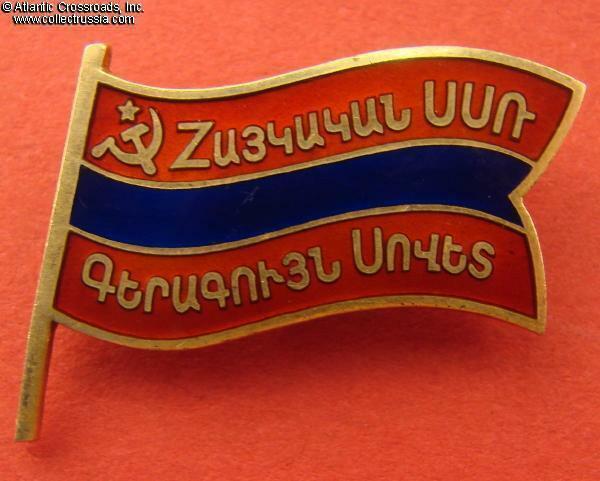 This makes it certain that the badge could be issued only to a member of the 4th convocation of the Supreme Soviet of Armenian SSR in 1959. There were a total of 300 delegates in the convocation; as is the case with all early Supreme Soviet badges, only screw back version was issued. Excellent condition. There enamel has only a couple of tiny contact marks to the blue stripe that are practically unnoticeable to the naked eye - otherwise perfect, with beautiful luster. The screw post is full length. 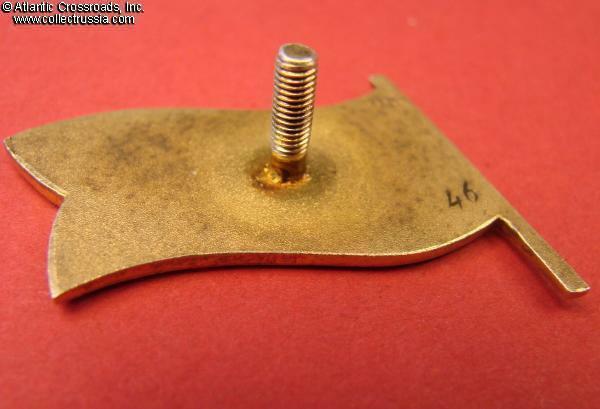 Original screw plate is included. /See A. Mekhonoshin, "Breast Badges of the Highest Offices of Government, 1917-1991", fig. 38.2.4, also "Avers 8" , p. 524, fig.2525/.